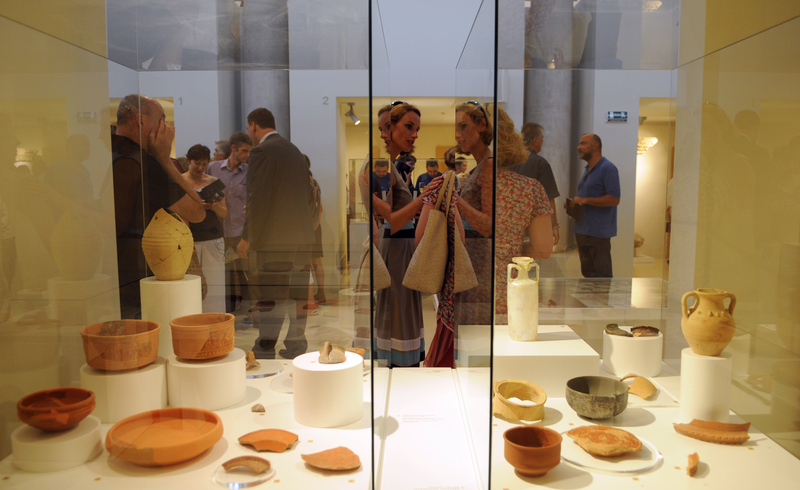 On Kaštel, the hill dominating the city, stands the magnificent, newly renovated Museum and Gallery Center “Sveta Srca”. It covers an area of 480 square meters and is an ideal venue for lectures and concerts. The museum and gallery center is situated in the one-time Church of the Sacred Hearts that was built by the nuns of that holy order in 1908. The church was closed after World War II, and was then given to the Archaeological Museum of Istria. Its renovation began in 1994 and so, after 17 years Pula finally has a very impressive museum and gallery center.